The Woo tumblog plugin allows you to do Tumblr style posting as well as using the normal WordPress post styles making it easy to quickly add links, quotes, pictures, and videos from the WordPress dashboard or the familiar WordPress interface. You can download the theme, Woo tumblog plugin, or view a demo from the following links. Note: You must have the Woo Tumblog plugin installed for the Tumblog functions to work. Steve: Since the theme was reported with bugs, we would like to review the theme and try to fix the bugs. So now we temporarily disable the downloading links. Sorry for the inconvenience, please keep browsing the site and find out more interesting and helpful stuff. For those of you who are curious here is a screenshot of the Dashboard Widget. This widget allows you to add any type of Tumblog post without ever leaving the Dashboard. Blogging with WordPress has never been faster. 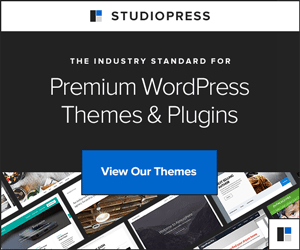 Download the theme and plugin from the above links or install the plugin from your WP Dashboard. This next step is extremely important for the Woo Tumblog Plugin to work Properly. Make sure you go to Settings -> Permalinks and then hit the “save” button. This needs to be done to make the tumblog Permalinks work. Since this is a free theme I cannot provide any support but if you have a question that can be quickly answered feel free to ask in the comments. Helveto, Thanks for pointing that out. I was just notified about it a few minutes ago. Malware has been found and removed. The warning should be gone soon. Hi, I am having problems with the theme or the plugin, I am not sure what’s the source for my problems. Too bad…looked like it could have been a great, customizable theme. is it possible to publish links by email just like Tumblr ? Is this theme not available anymore? The download links are not pointing to the correct paths. However, when we checked the theme we realized that some people reported bugs about the theme. So we’ve determined to disable the downloading links for now and review the theme. If we fix the bugs, we would reopen the downloading links. Sorry for all the inconveniences. So… any news about the bug fixes? It’s a shame an interesting theme like this gets discontinued. heeey?? when we use this theme? its brillant please quickly.